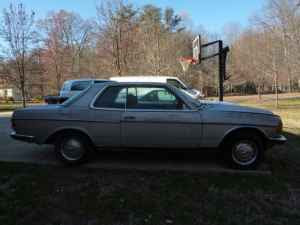 Just A Car Geek: 1979 Mercedes-Benz 280C - A Good Winter Project? 1979 Mercedes-Benz 280C - A Good Winter Project? This is a Mercedes-Benz 280C that was purchased by the seller's father while he was stationed in Germany. After his tour of duty was over, he brought it back with him to the US. These cars came with a 2.8 liter DOHC engine that produced 154 HP. This car has a 4 speed manual transmission. To the best of my knowledge, we never received the carbureted 280C in the US, but got the fuel injected 280CE instead. The seller says the car needs some work, including a clutch and new battery. 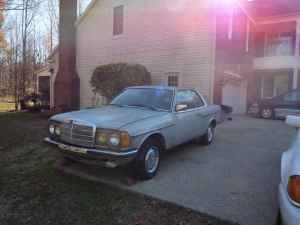 The seller does not mention how many miles are on this car, but for the most part the W123 cars from Mercedes-Benz were bulletproof. Put some money and time into it now and keep it maintained in the future and it will run almost forever. This is not a great ad. It has just 2 pictures and very little information. However, the seller does leave a phone number if you want more info. Located in Lothian, MD, click here to see the Craigslist ad.